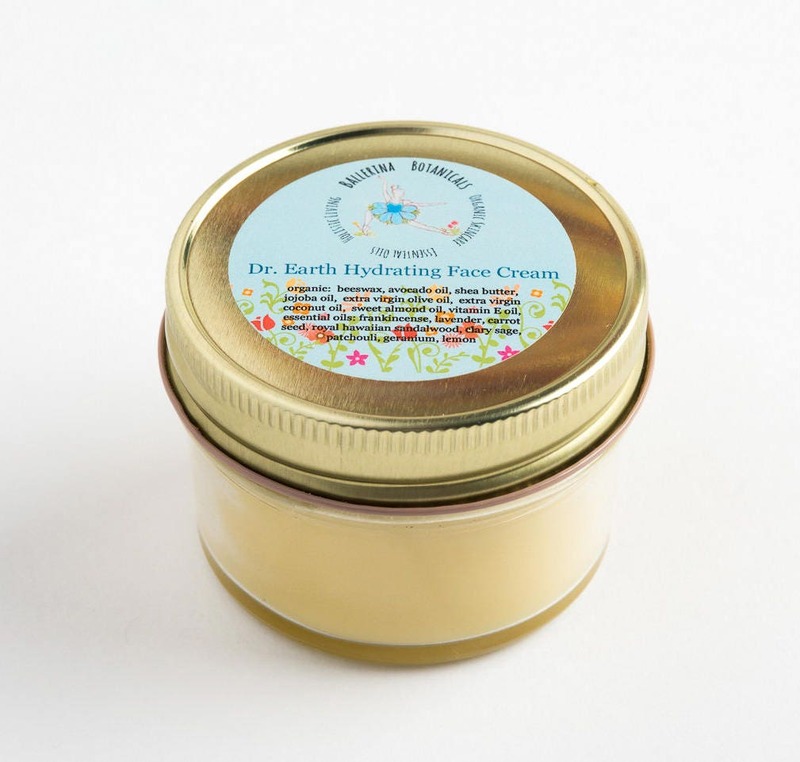 Our Dr. Earth face cream is perfect for nourishing all skin types naturally. It will leave your skin feeling hydrated while fighting the effects of aging with eight therapeutic grade essential oils. 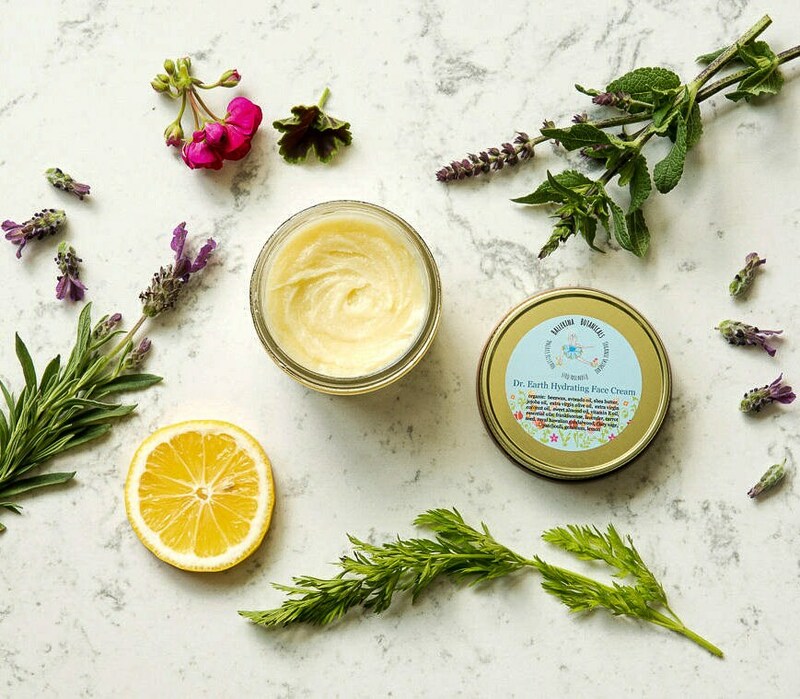 This natural moisturizer is enriched with a synergistic blend of essential oils, including carrot seed, which contains natural SPF (about spf 10-15) to protect the skin against UV rays. It's balmy texture creates a barrier between your pores and any makeup that you apply as well as free radicals that come into contact with your skin. Fast absorbing Jojoba oil tightens and moisturizes dry skin, while Avocado oil has the perfect source for vitamins A, D, and E to give your skin the nutrients it needs. 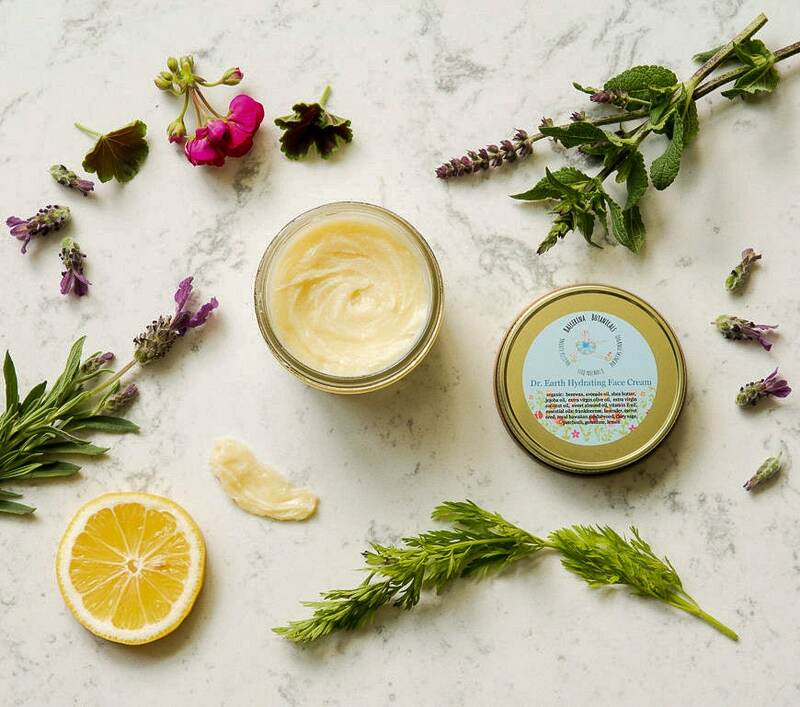 We add 100% therapeutic grade essential oils give your skin the botanical vitamins and minerals it needs, improving elasticity, leaving your skin renewed and healthy. Frankincense, is the number one essential oil to fight the effects of aging, reduce fine lines, wrinkles, and age spots. Use twice daily after cleansing and toning your skin. 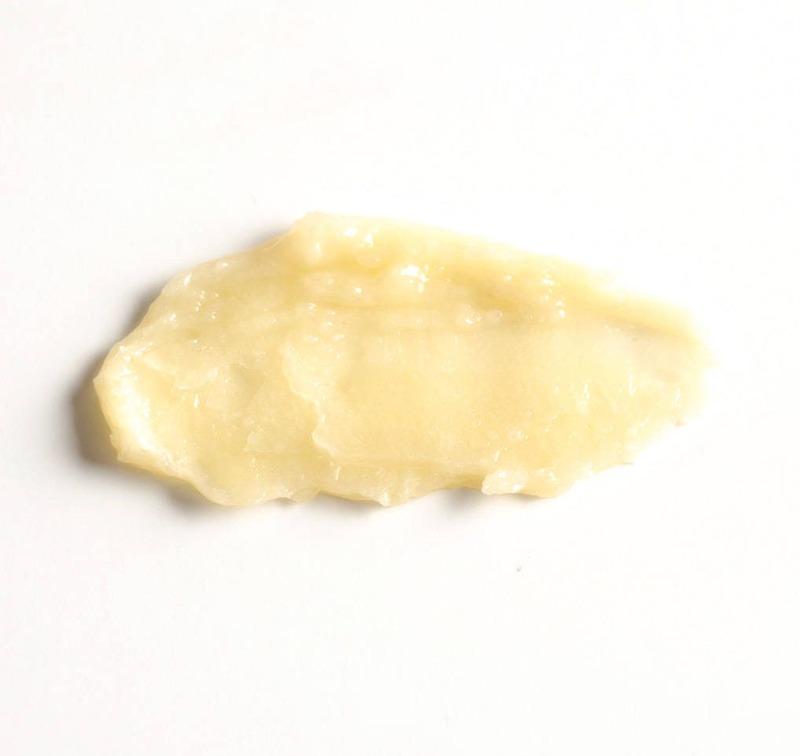 Use about a nickel-sized amount and gently massage into skin. *Frankincense is the #1 essential oil for anti-aging. It hails from the Burseraceae botanical family. You may recognize it from one of its 52 biblical references and its use as a holy oil. However, its anti-aging and anti-inflammatory properties are perfect for your skincare. *Lavender comes from the Labiatae (mint) botanical family and is found in France as well as the United States. It is a great essential oil to balance your body and fix wherever there is an issue. It is great for treating acne, any skin allergies, dry skin, aging skin, inflammation, itchy skin, scars, sunburn, and wounds. *Avocado oil nourishes and balances your skin's moisture levels. It is effective in producing collagen and treating age spots. It also provides the skin with necessary vitamins, A,D, and E.
*Jojoba oil tightens and moisturizes the skin to reduce the appearance of wrinkles. It is rich in vitamin E and has natural antioxidants. *Extra Virgin Coconut oil strengthens underlying tissues and removes dead skin cells. The medium-chain triglycerides act as a natural skin conditioner.